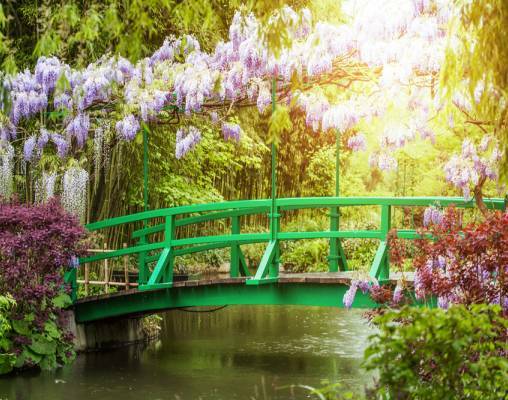 Embark in Paris, sailing to Vernon, for a choice of guided visits to either Claude Monet’s stunning gardens at Giverny or magnificent Bizy Castle. Continue to Les Andelys with its Château Gaillard, built by England’s King Richard the Lionheart in 1196, and enjoy guided sightseeing. Then, on to Caudebec, where you choose between an included excursion to the poignant Normandy landing beaches or a fascinating “Taste of Normandy.” Visit Joan of Arc’s historic Rouen, and in Conflans, choose between a visit of Vincent van Gogh’s Auvers-sur-Oise or Napoleon and Josephine’s elegant Château de Malmaison before heading back to Paris. 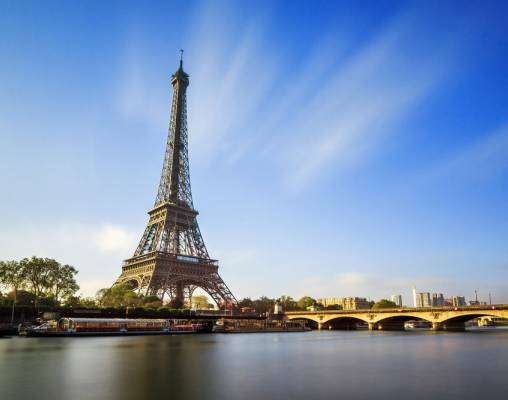 During your last day on the Seine, a Local Expert will show you some of the famous sights, such as the Arc de Triomphe, Eiffel Tower, and more! Trade your “Bonjours” for “Cheerios” as an included high-speed train transfer whisks you to London for three exciting nights. During your guided sightseeing tour with a local expert, see the sights you cannot go home without seeing—Parliament, Big Ben, Westminster Abbey, Piccadilly Circus, and more. 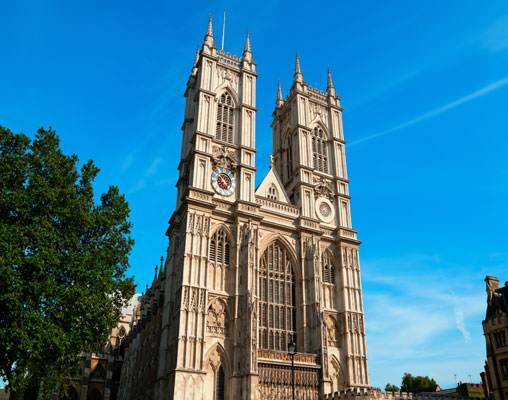 Enjoy VIP access to St. Paul’s Cathedral, the wedding site for Lady Diana and Prince Charles. 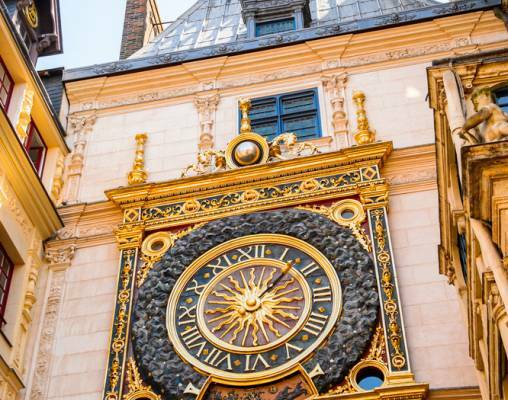 You’ll also have plenty of free time to take in a West End theater show, indulge in Afternoon Tea at one of the city’s grand hotels, and sample a pint in a real British pub. Day trips are available out of the city to mysterious Stonehenge, Bath to see the Roman ruins, or Shakespeare’s Stratford-upon-Avon. Monograms offers over 40 exciting activities and excursions, so you have loads of options. This morning in Vernon, choose between a guided visit of Giverny or a visit to Bizy Castle. Claude Monet lived at Giverny for almost 43 years (1883-1926), and viewed his flower and water gardens as works of art—just like his paintings. See his collection of Japanese prints, his charming house, and his biggest sources of inspiration. 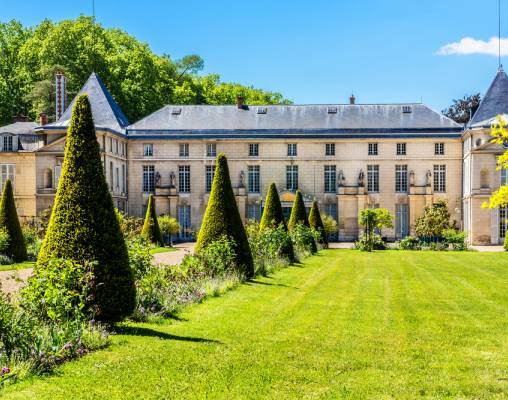 Or, visit Bizy Castle, built in 1740 and nicknamed “Normandy’s Versailles.” It is known for its famous stables—inspired by those at Versailles—and its magnificent courtyard and water garden. The Avalon Tapestry II is a true haven on the river - two full decks of Panorama Suites with Wall-to-Wall Panoramic Windows that transform the living space into a unique Open-Air Balcony®. With 200 square feet, Panorama Suites are more than 30% larger than the industry standard, giving you the rare opportunity to wake each morning to enchanting scenery and fresh breezes. Onboard amenities and services include complimentary computer use in public areas and free Wi-Fi access, a Fitness Center with state-of-the-art equipment, a hair salon, elevator, and a spacious Sky Deck with shade system, whirlpool, deck games, and the delightful Sky Bistro for al-fresco lunches of light grill fare. Ideally located just south of Westminster Bridge and overlooking the River Thames, this hotel is within walking distance of London's most famous attractions. Stylish dining options are available at the hotel: LItaliano offers authentic Italian cuisine with an extensive wine list and Spectrum Bar & Café is available for breakfast, lunch, and dinner, as well as Afternoon Tea and late-night drinks. The hotel also provides a fitness room as well as steam and sauna facilities, and Aurora Spa is available for beauty treatments or massages. Complimentary Wi-Fi is available throughout. 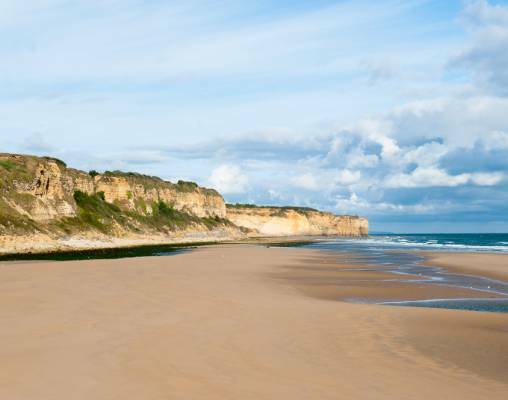 Click here to view testimonials for Paris to Normandy with London. 23rd April 2019 $4,469 Please call for availability. 30th April 2019 $4,569 Please call for availability. 23rd April 2019 $4,668 Please call for availability. 30th April 2019 $4,768 Please call for availability. 23rd April 2019 $5,618 Please call for availability. 23rd April 2019 $5,668 Please call for availability. 30th April 2019 $5,768 Please call for availability. 23rd April 2019 $5,768 Please call for availability. 30th April 2019 $5,868 Please call for availability. 23rd April 2019 $6,668 Please call for availability. 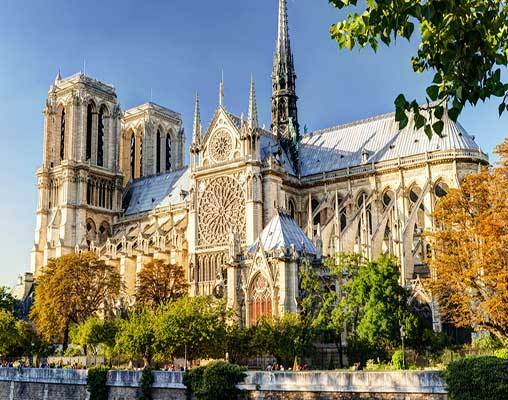 Enter your details below if you would like to be notified when 2021 dates and prices are available for Paris to Normandy with London. Prices are land-only, per person based on double occupancy. Prices are correct at the time of publication, however are subject to change at time of booking. Itinerary and accommodations may vary for 2019 departures, please speak with a rail specialist for details. May 28, 2019, June 4, 2019 and June 11, 2019 departures are Special Interest Cruises, please speak with a rail specialist for details.